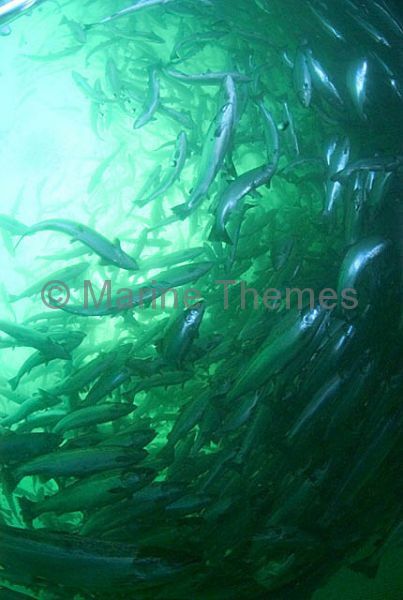 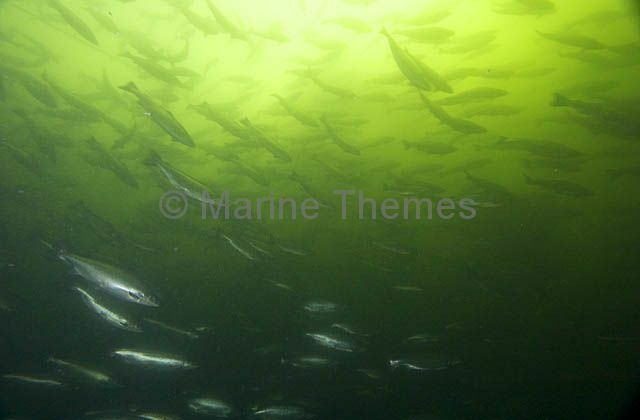 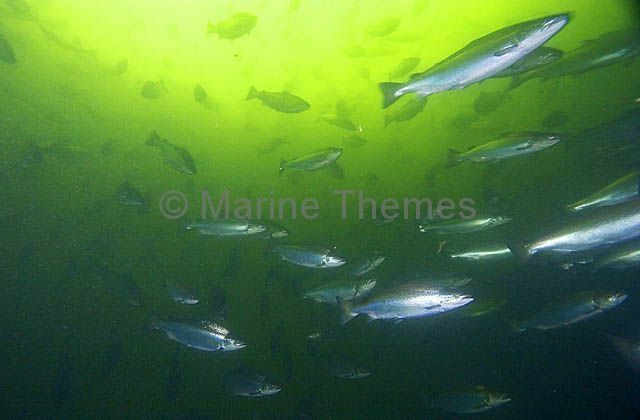 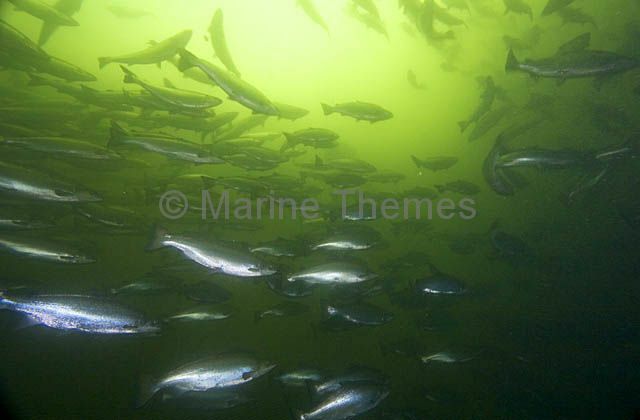 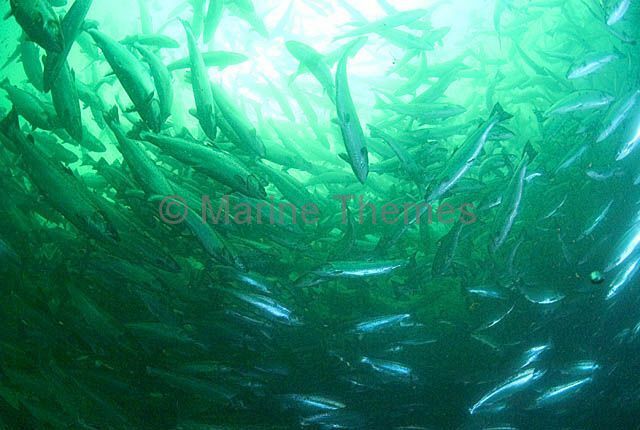 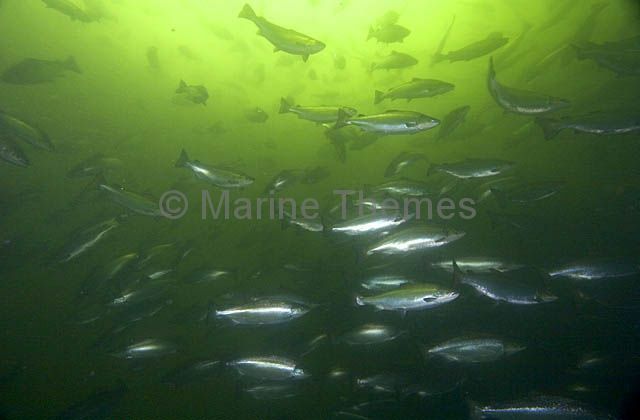 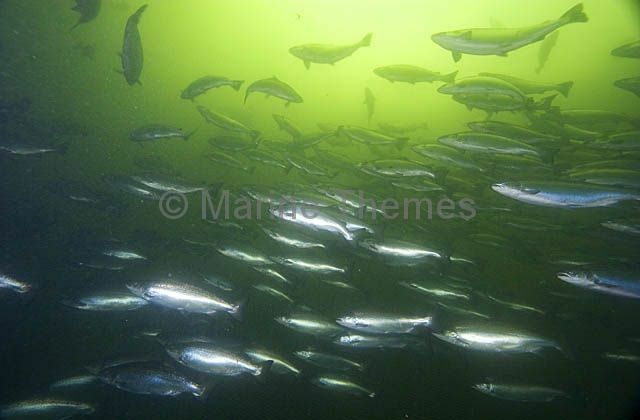 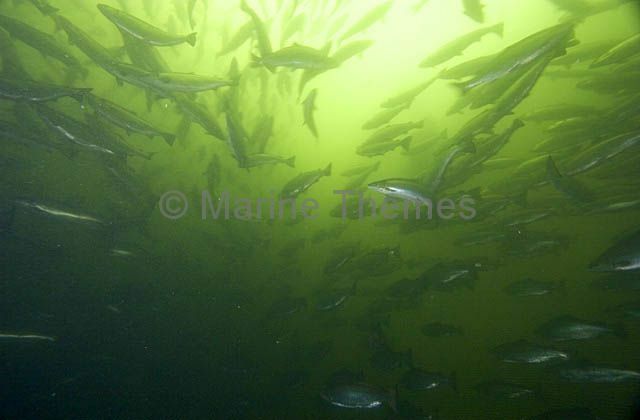 Atlantic Salmon (Salmo salar) schooling in tannin rich waters in upper estuary. 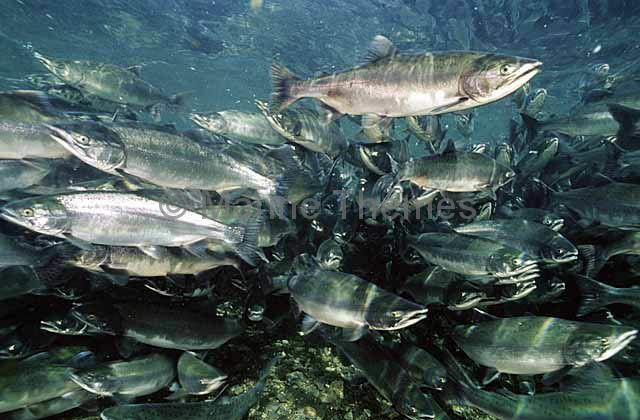 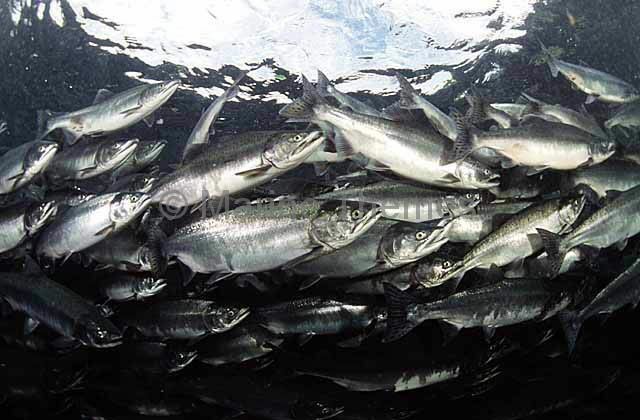 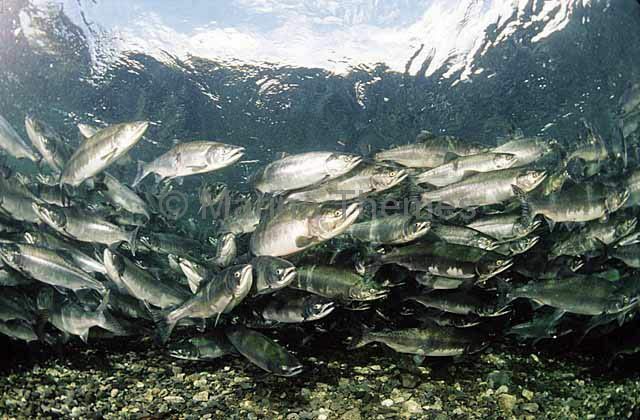 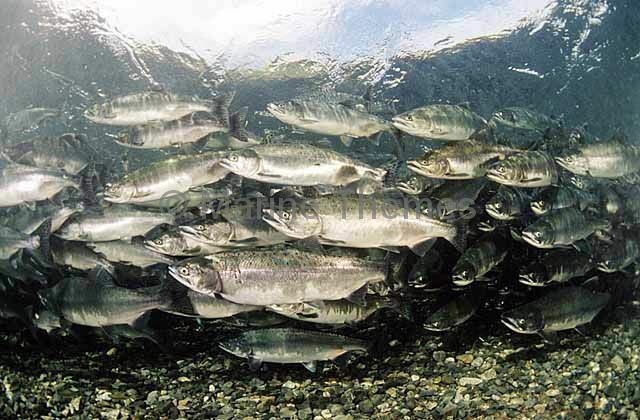 Pink Salmon (Oncorhynchus gorbusha) in mating migration. 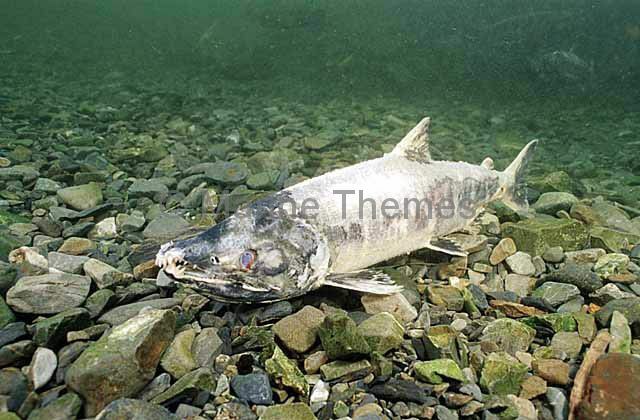 Chum Salmon (Oncorhynchus keta) or Dog Salmon. 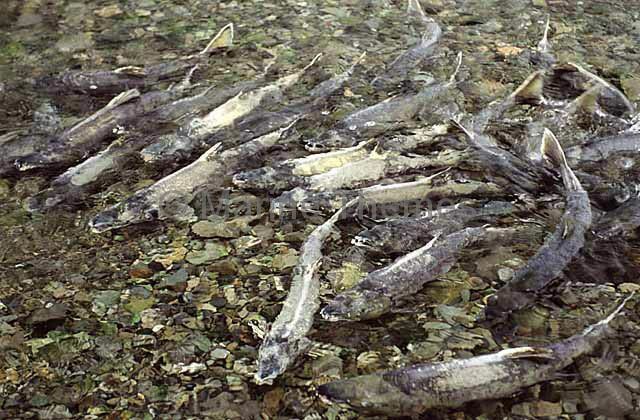 Adult dying after mating migration. 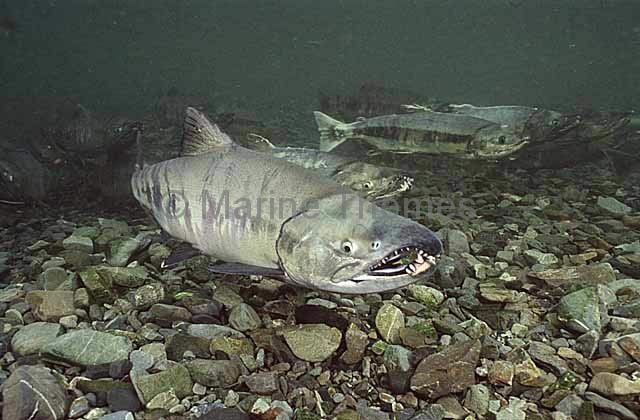 Chum Salmon (Oncorhynchus keta) or Dog Salmon. 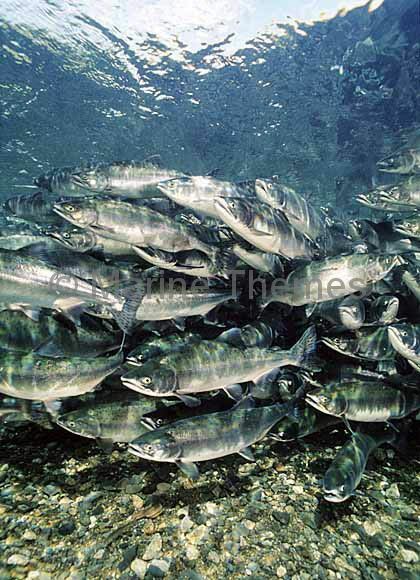 Adult during mating migration. 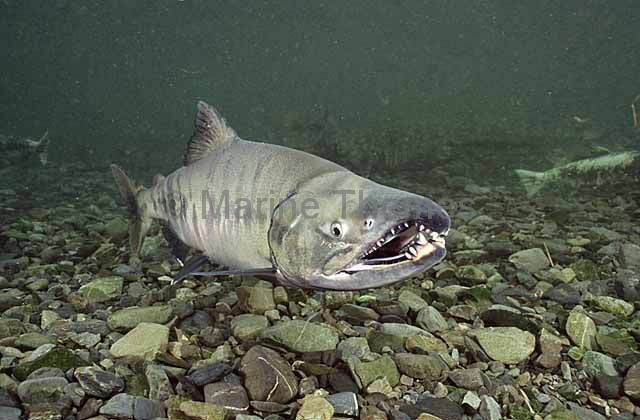 Chum Salmon (Oncorhynchus keta) or Dog Salmon. 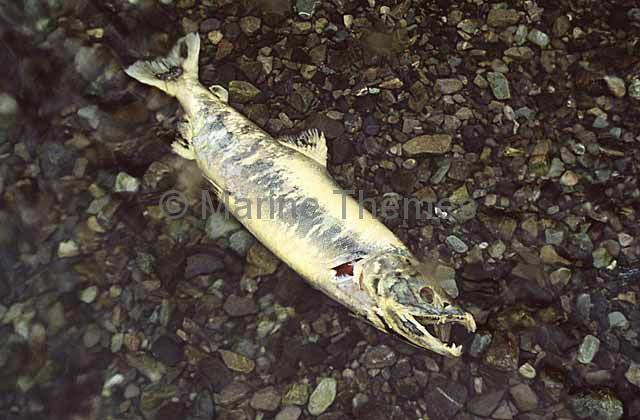 Dead adult after mating migration. 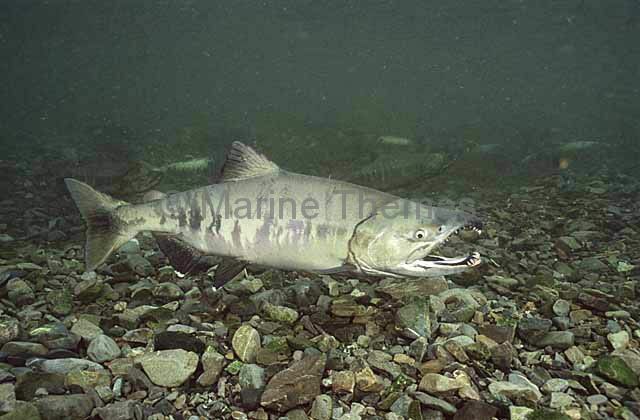 Chum Salmon (Oncorhynchus keta) or Dog Salmon. 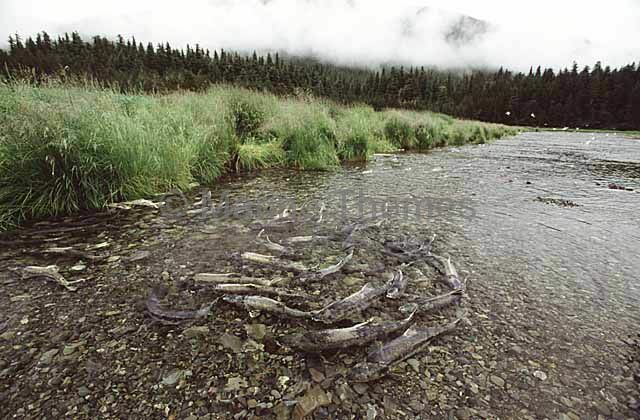 School of adults migrating up river for mating.